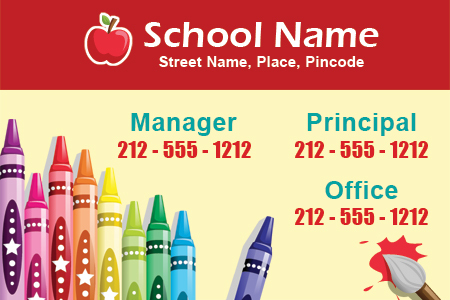 A promotional 3x2 square corners crayons school contact magnet can be preferred for brand building or goodwill creation by special schools, day care centers, elementary schools, grammar schools, and all K-12 pattern schools. 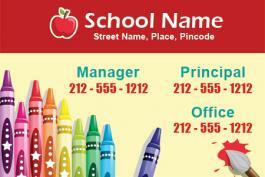 A personalized 3x2 square corners crayons school contact magnet can grab attention easily from over any refrigerator door or table or working cabinet due to its affectionate theme. A custom 3x2 square corners crayons school contact magnet can stir consciousness within a student and instill a sense of responsibility in them. Crayons school contact magnets can be handed out during school functions, as an encouragement token or as a fundraising token.